I haven't blogged in a while- it's been busy and chaotic and noisy in our house, and when I finally get PJ to sleep, I just want to sit on the couch and binge watch Golden Girls. During times when I can't get to my blog, I often think of great things to write about, and even jot them down in my planner with full intent to write some sort of masterpiece that will go viral and catapult me to some sort of vague internet fame. I always want to write like that but, more often, when I have had a break from blogging, I sit down and fill the screen with word vomit. We aren't all cut out for fame, I guess. The regular school year is winding down, and we have two glorious week of vacation until PJ goes back for Extended School Year. ESY is something I am torn about. It's in place for children with special needs to continue to attend school over the summer. It allows kiddos like PJ to have extra time to work on their skills and also offers continuity of the school program for kids who need that kind of consistency in their lives. I am split two ways about ESY. On one hand, the time our district offers, compared to other districts, is pitiful. I would love for PJ to have a longer, better-structured ESY to prevent any regression that might happen during the summer. On the other hand, I just want to have a regular old, school-free summer with my Best Dude. To let our bedtime rules go lax and sleep in and spend day after day at the pool and beach and finding adventure. ESY is, sometimes, a reminder that it's not quite the same for PJ as it is for a typically developing child. Still, it's all okay. PJ likes school and some continuity is better than nothing. He is also done for the day by 10:30am, so we still have a whole day ahead of us after to fill with swimming and play dates and trips to cool places. Summer is my favorite time to have a son. It's pretty awesome all year round, but nothing beats adventures with my favorite guy! PJ is always his bravest, best self in the summer. As PJ gets older I guess the difference between him and "typically developing" children will become more apparent. Taking time out for extra school and therapies and such is not on the radar of every family. That's okay, of course. If those things weren't on our radar, then PJ wouldn't be, either, and I'd give up a million summers for PJ. We just keep swimming...and beaching...and play date-ing. Welcome to Time for Mom, the best parenting link up around! 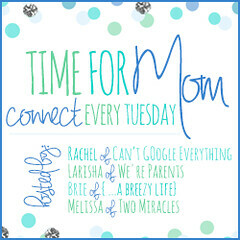 Time for Mom is a place to link up your post related to anything parenting each week! We like to make it our Tuesday post, but you can link up another recent post if you'd like! Please be sure to take a moment to follow your host and co-hosts in some way! And if you didn't get enough of us on our blogs, check out our Time for Mom Superstars Pinterest Board! Each week we will pin some of our favorites from the link up to the board! Check it out and see who was pinned! 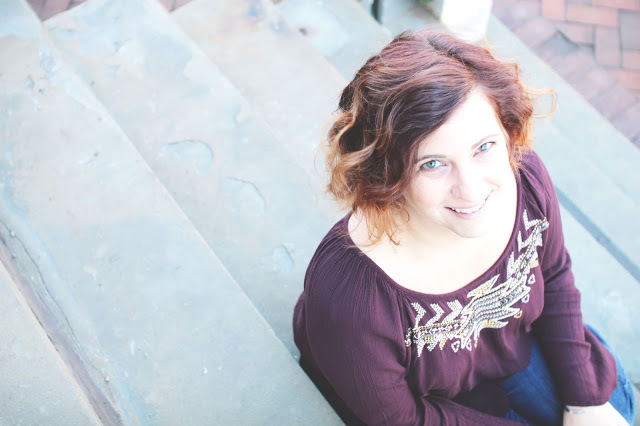 Last week Brenda wrote about her daughter adjusting to big sisterhood! Be sure to check out her post and then link up your own post for this week with us! Check out our new button! We hop you'll add our button to your post or link up list to help share the Time for Mom Hop! Thanks for featuring me! I'm the same way about blogging - I'll think of all these great things to write about throughout the day, but when I finally have a spare moment (especially now with a newborn and a toddler), I just want to fall asleep! I love that photo of my best dude!!!! VPS will give you the independence and flexibility of a dedicated hosting service, but at the price of a high-end shared hosting service.Each According to me virtual server is best web host. Mom. Wife. Writer. Typical 40-something with an atypical propensity for junk food and garbage TV. Book, music, and enchilada enthusiast. Guiding parents of special needs children while needing guidance as the parent of one myself. Click my face to learn more! ...and I am telling you I'm not going. ©2013 A Breezy Life | Designed by DigDeepStudio.com. Powered by Blogger.